TWIN FALLS • The College of Southern Idaho’s Refugee Center announced late last month it will likely receive Syrian refugees starting in October. It wasn’t long before questions started swirling in Twin Falls about these new arrivals from a war-torn part of the Arab world. We turned to Refugee Center Director Zeze Rwasama for answers to frequently asked questions about how the center works and what we can expect from the new refugees. Q: Tell me a little bit about the reaction you’ve received so far to the news of Syrian refugees coming? Has that been different than what you’ve experienced in the past? A: You know, I think this is something that is normal when there is a new refugee population. The community reacts the same way. They want to know about it. It’s a good opportunity for me to educate the community about the new population that is coming. So most of the people that were calling thought that the refugee center here decides who comes. They didn’t know there is the federal government that is involved in determining who gets to come to the U.S.
Q: What’s the process of the federal government in deciding who comes to Twin Falls? A: Well, first of all, the executive branch of the U.S. government — after consulting with the Congress— determine how many refugees will come in that year. For last year, in 2014, they said the cap was 70,000. This year, the same thing: the cap is 70,000. Now, there’s a lot going on before they select the 70,000. There’s only less than 1 percent of refugees that get the resettlement in a third country. And there’s only 25 countries on the planet that resettle refugees and the U.S. is the biggest one. Then, after all the clearances, the other concern is health. They don’t want to bring into the country someone with some kinds of diseases that would affect the health of Americans. So the health department is involved and they do health screenings outside of the U.S. and within 30 days of arrival, they do other health screenings here so we can identify what kind of treatment they need to undergo. If there’s a health issue, it’s really taken care of immediately after arrival. Now, at the port of entry — and this is what I just want to make sure people understand — it’s the last, last security screening… Now, the security issue, I like the fact that the community is really concerned about this. And the government is concerned about this. I am personally concerned about the security. I came here as a refugee myself running away from atrocities. I don’t want the same thing to happen to me here or to happen to these good people who are welcoming these refugees. I don’t want that to happen myself. And I have numbers that I want to talk about… In 2010, we resettled in the U.S. 73,311 refugees, but in 2011, they approved the ceiling at 80,000. They ended up resettling only 66,424 refugees… And the reason for that — meaning the numbers — is because of the security clearances. Of the people that were selected, some did not pass the security clearances and they did not come. Q: Have you heard concerns specifically about refugees coming in with radical Islamist backgrounds? Are those concerns legitimate? A: My point of view about that is, yes, everybody is concerned about this. But the calls I get, I make sure I explain to them the security clearances so the concern that they have, the U.S. government has that same concern as well. And that’s why all those federal agencies are involved to try to make sure that there are only good people that are coming. And you can even prove it. Since we started resettling refugees, I haven’t heard any terrible thing that these refugees have done in the community. And that proves that U.S. government and its agencies are doing all they can to just bring good people. Q: What’s the process once refugees arrive here in Twin Falls and what kinds of government services do they receive? A: When they come in, we operate with federal grants and we have the first grant… which is a grant that helps us resettle them within the first 30 days. From out of the money, we pay a deposit for the apartment, the first month of rent, the second month of rent out of that money and then we buy furniture for them out of that money. Now, sometimes the money isn’t not enough because one person, we get to spend $925. So if a single person comes in, that’s all we have… But we’re very grateful because the community comes in to help us with donations, so we don’t need to buy a couch for the money. We get some kitchen items from the community… So we balance from the money we get supplemented with donations in order to have a very successful resettlement of these refugees. Now, after that 30 days, then we have another federal-funded program to help them with financial assistance… And our goal within those eight months is to help them get a job. Q: Could you talk about what the center adds to the community and why it’s important to resettle refugees here? On top of that, these refugees come with diverse skills that they’ve developed outside the U.S. and then they’re coming with those skills in addition to the local skills to help some of the companies grow. I’ll give you an example. Right now, we do provide workforce to dairies, which I think is a good thing. If these dairymen don’t get people to work for them, now that would affect the economy of our city, the economy even of the state. Q: How welcoming have Magic Valley residents been to refugees in the past and do you see that changing? A: No. No, I’m not seeing that changing. If it wasn’t for the community, as I said, the money we get from the government is not enough to resettle the refugees. We’ve seen refugees succeeding. I know a refugee that bought a house after two years after two years of arrival in this area. That shows you how the supportive the community is. Q: Is there anything else that would be good for people to know? A: Well, I think that if people are very concerned about the security of this city, I think the best way to even know more is to get involved in helping these refugees and understanding them... And I guarantee they will even love them more just being around them. But if there’s that distance, then it’s not doing a good thing for our city. It’s better for you to know the refugees and then if there’s a concern, then you can raise the concern that is well founded. TWIN FALLS • Details of a historic agreement between groundwater and surface water users are coming to light after the groups say they reached a landmark deal last week. Water managers on Thursday negotiated a deal intended to settle all short- and long-term disputes brought on by over-allocation of water from the aquifer that supports much of south-central Idaho. Groundwater and surface water users have had a long and contentious battle over water rights. While most of the spats have been handled administratively through the state, some have gone to the Supreme Court. The deal reached last week aims to end the fighting and bring back health to the aquifer, which has reached its lowest levels since 1912. “This is a momentous occasion,” said Randy Budge, a lead attorney for the groundwater users. In 2016 and beyond, groundwater users will give up a whopping 240,000 acre-feet — enough water to cover Twin Falls County with 2.33 inches of water — per year. This will require an estimated 13.1 percent reduction in diversions by each water user. On Friday, Gary Spackman, director of the Idaho Department of Water Resources, approved the agreement and outlined how the 2015 mitigation obligation will be met. The state has given water managers until July 1 to complete the agreement to avoid massive shutdowns that could devastate many farmers and businesses with junior water rights. Idaho’s first-in-time, first-in-line water law stipulates that older senior water rights have priority over generally younger junior rights. Surface water rights tend to be senior to junior groundwater water rights, but many irrigators have a mix of senior and junior rights. According to a document obtained by the Times-News, Idaho Ground Water Appropriators and the Surface Water Coalition agreed on a set of objectives including stabilizing the Eastern Snake Plain Aquifer, increasing Blackfoot to Milner reach gains, and providing a “safe harbor” from curtailment to participating junior ground water users in participating ground water districts. The IGWA has agreed to acquire 110,000 acre-feet of storage water for the coalition to meet all 2015 mitigation obligations. That’s enough water to cover Twin Falls County with more than an inch of water. This will be from private leases and the common rental pool. Also in the near term, IGWA will secure additional water if possible for delivery to existing conversions in 2015, up to a maximum cost of $1.1 million. The Idaho Department of Water Resources director’s April 16 methodology order will be stayed and the director’s as-applied order will be rescinded. Annually, IGWA will lease and deliver 50,000 to the SWC 21 days after the date of allocation of storage water to meet irrigation requirements. If not needed for irrigation the excess will be used for conversions and recharge. The IGWA will use its best efforts to continue existing conversions. Objective goals will be identified with adaptive water management measures. The state will sponsor managed recharge of 250,000 acre-feet annually, ramping up within three years. The agreement will provide safe harbor from any future SWC delivery call for all participating ground water districts. The long-term agreement will remain in effect for so long as obligations and objectives are met. Idaho Power participation will be sought to extend safe harbor for Swan Falls minimum flows. Work will proceed to reduce this to a written agreement by July 1. The settlement agreement will then taken out to the parties boards for final approval by Aug.1. 75,000 acre-feet of private leased storage water on the date of allocation of Upper Snake storage accounts. 15,000 AF of private leased storage water within 21 days of the date of allocation of Upper Snake storage accounts. IGWA shall pay Twin Falls Canal Co. the amount required by Upper Snake to apply for rental of 20,000 acre-feet of common pool water from the Upper Snake rental pool, to be delivered within 21 days of the date of allocation of Water District 01 storage accounts. FAIRFIELD • The new wooden dock floating on the Camas Kids Pond means more children who come for the town’s annual fishing derby will fish from docks instead of casting over long grass on the bank. It took 22 hours for Fairfield volunteer Fred Marolf, 77, to build that dock for the pond where once his children fished and now his grandchildren and great-grandkids. But he doesn’t want anyone to think they’ll have an advantage at the Kids Free Fishing Derby on June 6. “If they don’t get there early enough, they’ll be fishing from the bank,” Marolf said. The derby draws 60-70 kids each year, some still young enough for diapers. The city, the chamber of commerce and their donors make sure everyone gets a prize, if only a chocolate fish. Bigger prizes might include fishing poles, tackle boxes, lures, sleeping bags and camping chairs. This year, four tagged fish will earn their anglers four $50 gift certificates. The Idaho Department of Fish and Game is scheduled to stock the Camas Kids Pond with 950 rainbow trout in late May. On June 6, the agency will show up with its “Take Me Fishing!” trailer from 8 a.m. to noon — the trailer’s first Magic Valley appearance of the season. No fishing license is required that day for anglers of any age if they register at the trailer, and Fish and Game employees supply rods, worms and everything else needed for a morning of fishing. By derby day each year, grass on the bank is long enough that little anglers have trouble reeling in their fish. But the pond’s two docks left most kids fighting the grass. Marolf wished for more docks for years, but Fish and Game told him it didn’t have the money. Then Marolf asked for permission instead and started figuring how to get it done. He thought for four years before he saw a Craigslist offering of floats manufactured for aerators in city waste lagoons. When the seller learned why Marolf wanted the floats, he sold them all for $100. They weren’t meant to float fishing docks, but they do it well. The proof is Marolf’s first dock, installed at the pond May 5 with Fish and Game’s help. The other materials for that 8-by-16 dock cost about $450, and Marolf intends to build three more before derby day. Marolf paid part of the bill himself and got donations from a neighbor and another buddy. He hopes to recruit help with the labor of the next three docks, too. The neighbor who chipped in had a leg operation recently, Marolf said, “and he’s going to be seven months getting back to kind of normal.” But the neighbor is also a fly fisher who relishes a catch-and-release session at the pond about four times a week. So the first of Marolf’s docks will become handicapped-accessible when Fish and Game builds a ramp for it. Another benefit will become apparent if Fish and Game ever decides to stock bluegill or perch in Camas Kids Pond, Grissom said. Those species like to find cover underneath docks. JEROME | A Jerome police sergeant and a firefighter rescued two people and a dog from a fire Saturday night at the Clover Creek Apartments. Sgt. Jim Baker and off-duty firefighter engineer Sam Craig were the first to arrive at the fire, with initial reports stating two residents of Unit C were unaccounted for, city officials said in a statement. The two found the Unit C exit was blocked by fire. Baker broke a front window, and he and Craig helped the first resident out. Craig went in and found the second person and a dog and helped them escape. The fire engine arrived a few minutes later and quickly put the fire out. The three other units were evacuated. City officials said the fire was contained to the outside of the building and nobody was hurt. The fire's cause is under investigation. Q: Regarding those little birds that flit in and out of the canyon walls at Shoshone Falls: Are they swallows or something else? Why do they build their nests in cliff sides? Why are they drawn to the Shoshone Falls area? Cliff swallows build elaborate mud nests with small round entrances. And swifts and violet-green swallows build cup-shaped nests in cracks and crevices. The white-throated swift is one of the fastest flying birds in North America, making its home in the canyons, foothills, and mountains of the West. Cliff swallows often swarm in summer. They build mud nests in colonies on cliff ledges or under bridges, overpasses, eaves and culverts. They always nest on cliffs, high buildings or other cliff-like structures like the face of a dam, said Ackerman, who is also vice president of the Golden Eagle Audubon Society in Boise. “They eat small flying insects, which are likely to be more plentiful near water and in humid areas such as the spray zone around waterfalls and canyons,” he said. “There are six kinds of swallows in Idaho, but only cliff swallows nest on cliffs. Any of them could be feeding near cliffs and waterfalls, but only cliff swallows nest on cliffs like that,” said Ackerman. They’re sometimes hard for beginning birders to spot because they swoop fast and seldom pose for photographs. TWIN FALLS • The Twin Falls School District will get more state funding to pay teachers next year, but it is struggling to retain classified employees due to low wages. But state money to pay classified employees – such as custodians and school secretaries – is dismal, he said during a preliminary budget presentation. “If we want a continuation of services, we’re going to have to look at what we’re paying,” he said. Some employees have additional training or certification and “are seriously tempted to leave and go elsewhere” because they’d be able to make significantly more money, Seaman said. One of the largest issues at I.B. Perrine Elementary School is retaining classified staff, Principal Tammy Rodabaugh told trustees during a building report. The school saw 54 percent turnover in classified staff this school year, she said, and was highest among playground aides. As for teacher salaries, Seaman estimates the district will receive about $38.7 million in state money next year. A new career ladder law goes into effect July 1 to boost pay. Also, state funds will have to be put back into programs that suffered during the recession, Seaman said. The district has put curriculum on hold for years, he said, but it’s looking to catch up. Last year, officials spent $1 million for a new elementary school reading program. It hopes to upgrade math materials for middle and high schools. A budget hearing will be held at 7:45 p.m. June 8. • Heard a presentation about scholarships from Western States Bus Services. The company is awarding three $1,500 scholarships, said supervisor Michele Dameron. School counselors will pick the recipients. She also introduced two officials from Landmark Student Transportation, the new parent company for Western States. “From a community perspective, our goal is that it will be business as usual,” said Landmark official Barry Stock. There have been challenges with service this year, he said, noting the company will provide the resources to have a flawless startup to the next school year. • Recognized Twin Falls High School’s Academy of Finance for being named a model school by the National Academy Foundation. • Heard an update about state money to provide leadership stipends for school employees who take on extra duties. Elementary schools allocated $37,126 and middle/high schools allocated $88,418.50 over the last year. • Held a public hearing and voted to approve an increase in school lunch fees for the 2015-16 school year. It’s due to an increase in costs and federal government regulations. Elementary school lunches will increase from $2.45 to $2.55. Middle school lunches will increase from $2.70 to $2.80, and high school lunches will increase from $2.95 and $3.05. Students who qualify for free or reduced-price lunches won’t be affected. • Took action on land auction results. Trustees approved some offers and rejected others. For offers not accepted, the board’s vote gives the district authority to negotiate with the highest bidders. The district opened online auctions for three properties in mid-April and closed Thursday. Money will help pay to build three new schools. Director of operations Brady Dickinson recommended rejecting bids for five Riverhawk lots, totaling $939,453.25. Trustees voted to accept the recommendation. None of the offers reached the assessed value, but Dickinson said he’s optimistic about selling the land. The Riverhawk Commercial Subdivision consists of five lots — totaling 4.2 acres — near Canyon Ridge High School. Land is leftover from constructing the high school, which opened in 2009. Also for sale was the Sackett Farm on Hankins Road North. A new elementary school — Pillar Falls Elementary — will be constructed nearby. School trustees rejected one bid for $271,250 for a nearly 9-acre parcel, but accepted a $912,300 bid for 30.41 acres. The district is also selling nearly 37 acres of its Bohr Farm property near the Sunway Soccer Complex. School trustees accepted a $641,900 bid – far above the assessed value. WASHINGTON (AP) | The Senate on Monday unanimously passed a resolution calling on Iranian officials to immediately release three Americans held in Iran and help locate a fourth. The measure, which passed 90-0, calls for Iran to free Saeed Abedini, Amir Hekmati and Jason Rezaian and cooperate with the U.S. government to locate and return former FBI agent Robert Levinson, who is believed to be missing in Iran. 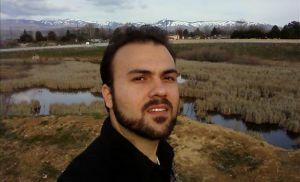 Abedini, a Christian pastor from Idaho, has been in Iranian custody since September 2012 and is serving an eight-year sentence for undermining state security. During a trial in January, he was convicted of trying to establish a network of Christian churches in private homes. Sen. James Risch, R-Idaho, who introduced the measure, argued that the four should have been released before the U.S. started negotiating a nuclear agreement with Iran. "Iran thinks it elevates its position in the world because it does these kind of things. It does not," Risch said. "Certainly it shows toughness, but a barbarian type of toughness that the world is not impressed with at all." Hekmati, a dual U.S.-Iranian citizen born in Arizona, was arrested on spying charges in August 2011. Hekmati, who has family in Michigan, was convicted of spying for the CIA and sentenced to death, but Iranian officials later reduced the sentence to 10 years in prison. "He is the person that has been waiting longest to come home. He has been tortured and is a locked inside a prison notorious for its deplorable conditions," said Democratic Sen. Debbie Stabenow of Michigan. "This resolution is a clear message to the Iranian government: If you want a seat at the table with the rest of the international community, free Amir Hekmati now as well as all of the other U.S. citizens who are being held as hostages." Rezaian, The Washington Post's bureau chief in Tehran, has been held since July 2014. Iranian authorities have not provided specific details about why he is being held. JEROME | Firefighters and sheriff's deputies have responded to reports of a barn on fire in Jerome County. Emergency dispatchers said the Jerome Rural Fire Department was fighting the fire at 11 N 400 W in Jerome County. Check back later at Magicvalley.com for more on this story. A new eBook has been published which contains early maps of many national parks, including Idaho’s own Craters of the Moon National Monument and bordering Yellowstone National Park. The maps allow readers a glimpse into the early development of the parks and to see how they were developed. These Times-News stories are getting the most attention on Magicvalley.com. What did you miss?